LEONI Engineering Products & Services, Inc. will be hosting an Oktoberfest-styled event on September 29, 2016, at its facility in Lake Orion, Michigan. Technology demonstration station will be set up to display LEONI EPS' various systems. 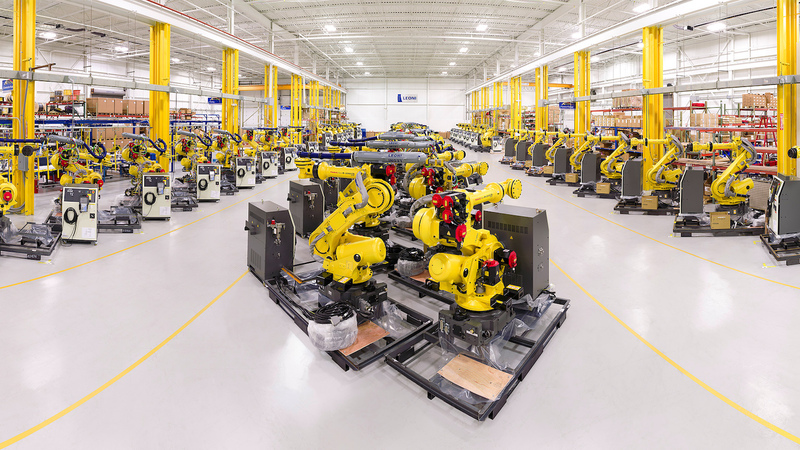 LEONI Engineering Products & Services, Inc. (LEONI EPS), part of Nuremberg-based LEONI AG and one of North America’s leading supplier of robot equipment, automation training, and machine vision solutions, will celebrate its German roots and the benefits of automation technology during an Oktoberfest-styled event on September 29, 2016, at its facility in Lake Orion, Mich. The event, which runs from 11 a.m. to 8 p.m. and is open to representatives from industrial companies across North and Central America, will include German food and beer, as well as five technology demonstration stations to show off LEONI EPS’ five groups: Robotic Solutions, Machine Vision, Automation Systems Training, Service, and Automation & Drive Cable Solutions. Each demonstration station will contain multiple automation systems for visitors to review while LEONI staff members make themselves available to answer any automation-related question. The event will run throughout the day to accommodate everyone’s schedules. Periodically, LEONI engineers will tap a new German beer keg at each demonstration station. Demonstration stations will include all of LEONI’s primary products and services, including the LSH3 dress pack system and tool center point (TCP) automated robotic end effector calibration and protection system from the Robotic Solutions group; color machine vision and camera-based 3D profilometers from the Machine Vision group; mobile portable robotic workcells built to show the breadth of expertise provided by LEONI’s Automation Systems Training group; and commissioning and programming automation systems from the Service group. For more information about the Oktoberfest event at LEONI EPS, contact Judith at (248) 484-5516. About LEONI Engineering Products & Services, Inc.
LEONI Engineering Products & Services, Inc. (LEONI EPS), part of LEONI AG, is North America’s leading supplier of robot equipment, automation training, and machine vision solutions. LEONI manufactures the world’s most robust and compact dress pack product on the market, the LSH3, in addition to robot and PLC programming and calibration. LEONI is a certified learning institution for the state of Michigan and the only automation training program in North America to create custom training programs based on customers’ specific equipment and employee expertise. Additionally, LEONI is the first machine vision integrator to achieve Certified Systems Integrator (CSI) status in the U.S. and has more advanced-level Certified Vision Professionals (CVP) on staff than any other integrator in the world. LEONI is helping customers in the general manufacturing, automotive, consumer packaged goods, utilities, and related industries to solve their most difficult assembly, automated inspection, and quality-control challenges. Learn more about LEONI at LEONI-NorthAmerica.com, or call (248) 484-5500.